• Staff as required including a DJ catering to your music preference. Only with management approval, you are more than welcome to provide your own DJ. If providing your own DJ, ensure they bring in their own cd/MP players or computer and mixer that can plug in to our system. Keep in mind if your DJ damages our speakers you will be held responsible. • Concession will be open as well the karaoke system will be available to use FREE of charge. Time is limited depending on the booking slot. • Rentals available at only $3.00 a Rental. Schools and Daycare's receive rentals at $2.00 a Rental. 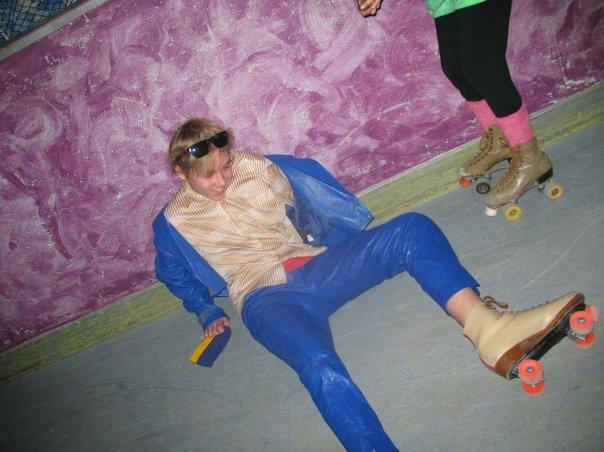 *If guests have their own inline and/or Roller skates they are more than welcome to bring them in. Helmets and safety gear is NOT MANDATORY but recommended if you feel you require it. • All guests who use rentals will receive a event pass valid for any of our extra sessions. For example Family Day, & Spring Break etc…. • We do allow outside food such as pizza, sandwich and vegetable trays etc…We DO NOT allow outside drinks. Jugs of pop will be available at the concession at a discount, only $4.00 a jug. • A chance to win a FREE skate party! Alcohol exceptions will require approval from the booking agent and management. The group must have their own Liability coverage which can be obtained through an insurance broker or if the booking is a company, the company insurance may cover the event in addition to this they will require a liquor permit which can be obtained from any liquor store. If you don't have this document in place minimum of at least 1 week to the event, Liquor will not be permitted. 2 hour party is only $500.Min 2 hour booking required. Additional hours are $200 an hour. We do allow outside skates. 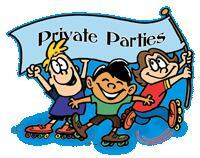 Rentals if required are available, your choice inline or roller skates only $3.00 a pair. Includes an event pass for many of our extra sessions such as Family Day, Spring Break, etc... You can switch once between skate types. For all bookings we are flexible with start and end times. If you require to rent it out longer than 2 hours it is available at only an additional $200 per hour. Times--Our facility is available up till 2am 7 days a week if required. IMPORTANT: Weekend slot specifics. If you are booked on a weekend slot that is Thur & Fri 5PM-7PM, Sat 11am-1PM, Sat 5PM-7PM, or Sun 11am-1PM. 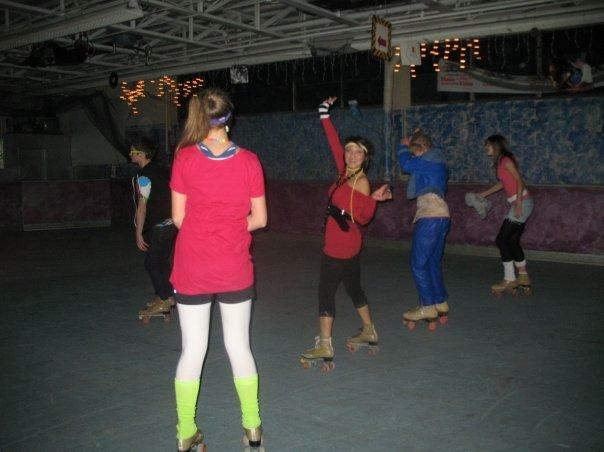 Your group will be able to skate the public session which follows your booking at no extra charge. 2 hour party is only $500.Min 2 hour booking required. Additional hours are $200 an hour. We do allow outside skates. Rentals if required are available, your choice inline or roller skates only $3.00 a pair. Includes an event pass for many of our extra sessions such as Family Day, Spring Break, et... You can switch once between skate types. For all bookings we are flexible with start and end times. If you require to rent it out longer than 2 hours it is available at an additional $200 per hour. You can have your booking slot anywhere between 5pm-12:30am. If you require tha facility past 12:30 am it is availble. Great for Daycares, School skates /Dances, Physical Education programs, and Corporate/ Staff Day getaways or team building sessions. 1 hour slots ONLY $200 an hour. For additional hours it is $200 an hour. We do allow outside skates. Rentals if required are available at over a 30% discount, your choice inline or roller skates only $2.00 a pair, which includes an event pass for many of our extra sessions such as Family Day, Spring Break. - Mon to Fri 9am-5pm. If you require the facility earlier it is available.